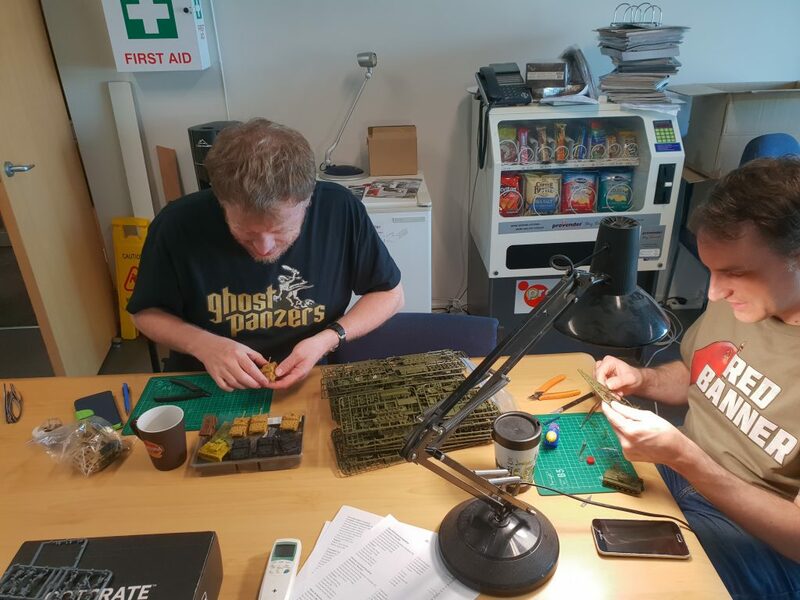 When Chris and I were first talking about playing a big game I had the thought of taking a Tiger company to take on Chris’s Soviet T-34 horde, but thought that it probably wouldn’t be a fair match-up. Reich T-34s and give Chris a rematch from a version 2 game we had, where my T-34 tanks were overwhelmed by the sheer number of T-34s that Chris was fielding. My Army is based off the Captured T-34 Command Card. I won’t go into too much detail about the command cards here as Victor is going to write an article about this later. 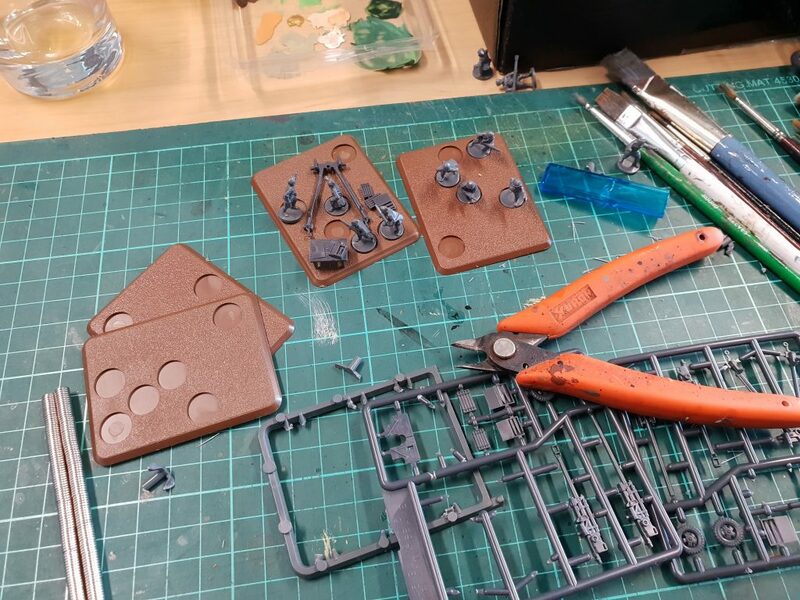 I have 10 T-34s painted, so I decided to split these into 2x platoons of 3 tanks and a platoon of 4 tanks. These are led by a Panzer IV and a Panzer III. I’m just going to use my Grey Panzer III & IV tanks for the moment, until I get a chance to paint some new ones. To back up the T-34s I’ve added a single Tiger, again mainly because I love the model. I figure the Tiger will anchor one flank and my T-34s will deploy en-mass, strength in numbers. T-34 Company HQ card I whipped up for my game against Chris. and a Captured T-34 card for Das Reich. All four of the mid-war Eastern Front books were designed together. There was a lot of crossover between units in both books, so we wanted to make that cross support possible between books. 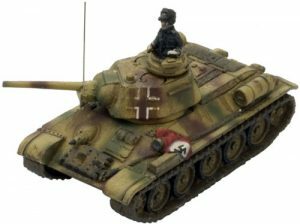 For instance, in the German case, we wanted to make sure that you can take your Grenadier infantry forces from Iron Cross and back them up with Ferdinand and Brummbär heavy tanks from Ghost Panzers, just like what happened in Model’s 9th Army attack on the northern front of the operation. Of course the reverse is also true. 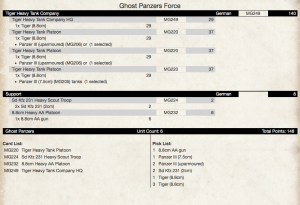 You can field a Ghost Panzer formation with Iron Cross support, such as an Armoured Panzergrenadier Formation with your early panzers and StuGs to represent the half-track mounted troops involved in the 1942 summer offensive. 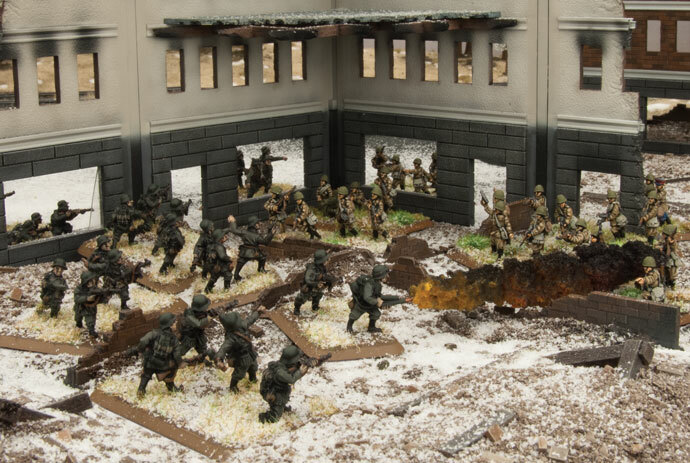 I originally modelled this force as an assault unit involved in the 1942 summer blitzkrieg attacks. It’s got some defensive power, but has an offensive footing with flame-throwers, submachine-guns, and Stukas. 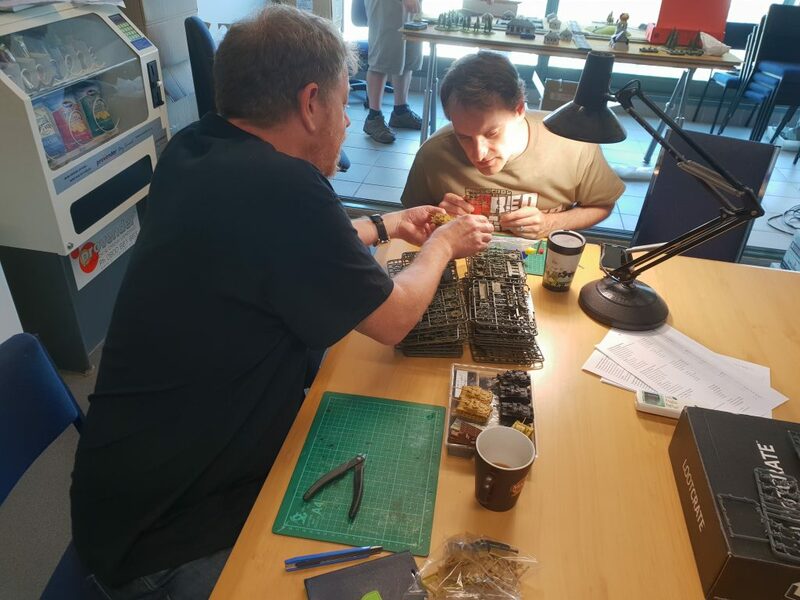 I’m excited about the upcoming release of the Ferdinand, so I’m going to convert this force into a Citadel-themed one so that I can include them. 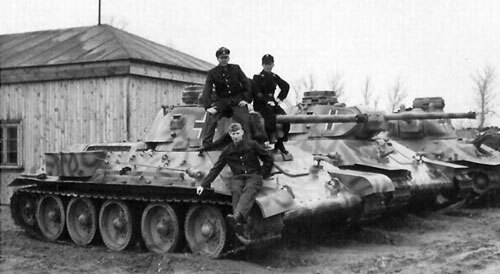 However, I also want to retain as much of the tactical flexibility from Iron Cross as possible, such as artillery. I can achieve this by using my Iron Cross Formations with Ghost Panzer support units. 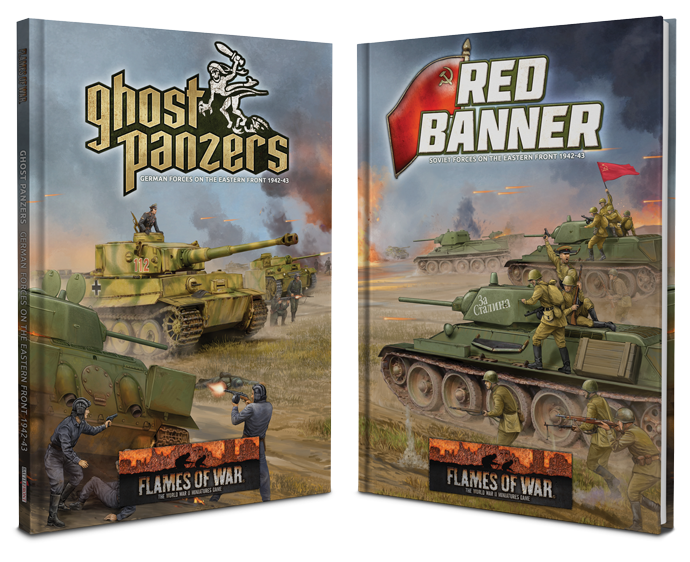 I have to choose which book to draw support from, I can’t do both, so I need to drop my StuG assault guns because these early versions are not available as a Ghost Panzer support unit. 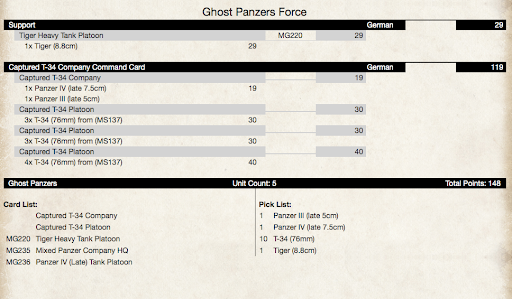 On the other hand, my artillery and Stukas are both available in Ghost Panzers, which means I can bring them across. So with just a few small modifications to my army I can field my tried and true Grenadier force in Operation Citadel battles using a pair of mighty Ferdinands.